The photo was taken in Manchester and this little fellow here is referred to by the locals as a “Green Lizard”. Most Jamaican women are extremely afraid of lizards, especially this kind. And yes…I am too! So imagine how thrilled (sarcasm) I was to learn that Greenie here will be my new neighbor. I must, however, admit it’s pretty. 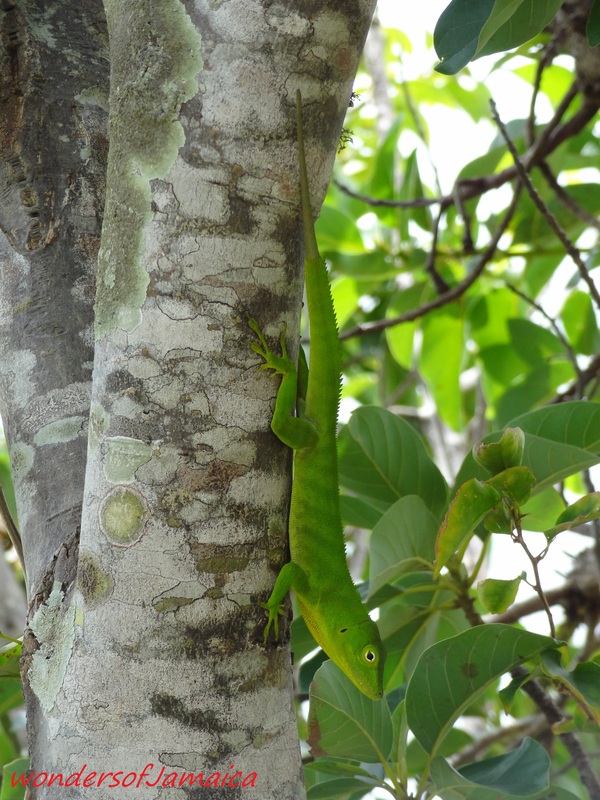 This entry was posted in Animals, Jamaica, Jamaica Vacations, Manchester, Photos and tagged green lizard, Jamaica, nature, photography, reptiles, Travel and Tourism. Bookmark the permalink. Oh yeah! I forgot that part. Haha!